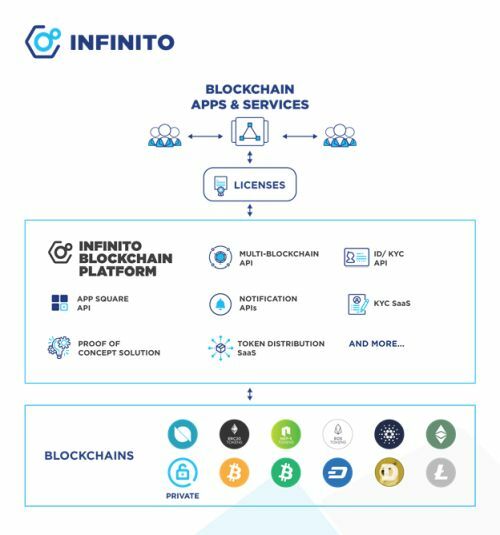 SINGAPORE, Jan 29, 2019 - (ACN Newswire) - Leading blockchain tech provider Infinito, operator of the Infinito Wallet, has just released a comprehensive blockchain platform for businesses and developers to seamlessly use of a wide variety of blockchain-based functionality from one stop. 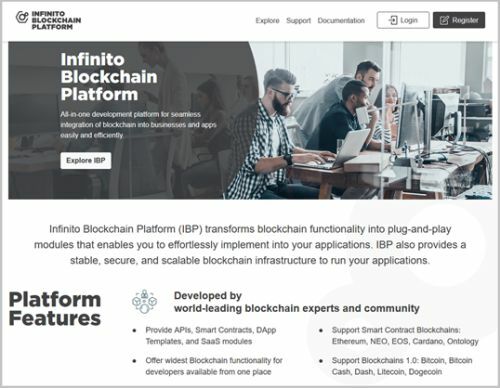 The Infinito Blockchain Platform (IBP for short) enables easy development of decentralized apps using APIs. Businesses can also choose from various turnkey SaaS and solutions according to their needs. IBP aims to be the number one solution for anyone looking to integrate or build practical blockchain applications. With Infinito Blockchain Platform, most custom code work is eliminated thanks to turnkey, highly scalable solutions and powerful blockchain APIs that work in plug-and-play fashion. Clients can access and choose from a wide variety of blockchain development tools, including but not limited to transaction settlement, data retrieval and analysis, identity verification, multi-chain interaction, and so forth. Aside from Commercial licenses for business purposes, Infinito Blockchain Platform also offers R&D and Education free-of-charge with set performance parameters.